The life of my great great grandfather William. One of the very first thoughts I had when starting this venture was about the Great Famine in Ireland and of how my family survived it. We now know that William was in England during the famine but his family was probably still in Down. My grandfather did not emigrate until 1907 nor did most of the family. This ran in opposition to what I knew of Ireland. So immediately I began to think of how they could have survived those times. The answer of course was money. The money that the family here talked about for years. There is no doubt that William did well. 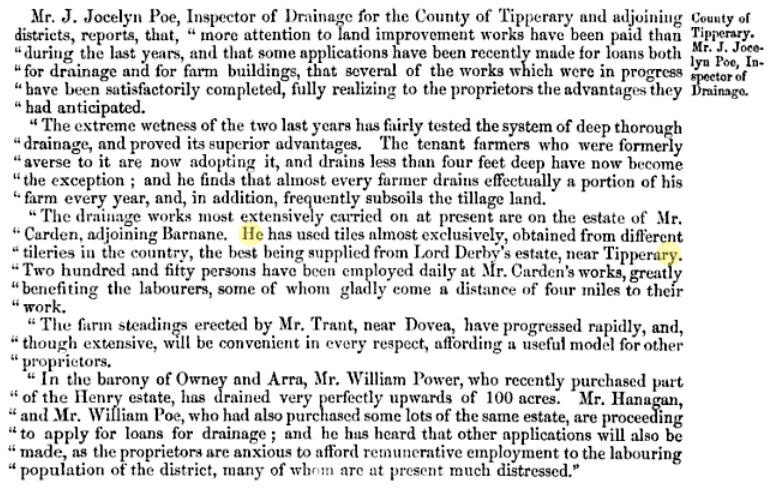 Below a report from the House of Commons citing Lord Derby’s tilery as providing the best in Tipperary. In later years William secured the contract for the Tipperary Army Barracks which made him quite well off. In the end , he owned the farm at Lisheenamalausa, a row of houses on Nelson Street in Tipperary Town and 2 houses at Galtee View, this according to his will. Also, William was Presbyterian, not Catholic, making me further wonder how he survived the civil unrest that surrounded him. He was in the employ of Lord Derby, that in itself could be a blessing and a threat. Was it just luck or had William cultivated friendships with people in the area so that they bypassed his property? It could also be that the tenants received fair treatment from Lord Derby and there were fewer evictions if any on his land. This civil unrest became known as the Irish Land Wars. To add to the irony of the situation, I have discovered that my grandfathers immediate family, including his father were land agents. You know, the ones that did the evicting? So, there I have my answer, my family was basically on the “other” side! I have heard from many people though that for the main part the different people in and around Tipperary Town managed to dwell together in relative peace. In 1867, Sarah presented William with his 6th and final daughter, Sophia. They had a house full of girls and would live through the joy, sorrow and loss of watching them grow into bright and beautiful women. As I stated previously, William was able to secure the contract for making tiles on land owned by Lord Stanley. Again, here we are speaking of “drainage tiles” much like the “culverts” of today except for being made of clay. The productivity of land has much to do with drainage and most landlords set about this task not only for their own profit but as part of the political scheme of the times. 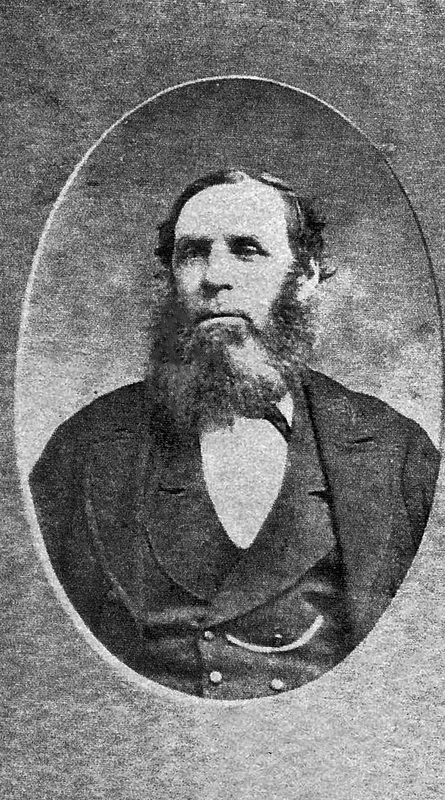 The Stanley family had a very long history in Lancashire, England and also a long involvement with the governance of Ireland through the first Thomas Stanley . His son, Thomas the first Earl of Derby became ” one of the most powerful landed magnates in England whose authority went almost unchallenged even by the Crown.” Moving forward in time, Edward Henry Stanley who owned the land in Tipperary was a British politician and brother to Frederick Arthur Stanley who moved to Canada and whom the Stanley Cup is named after. 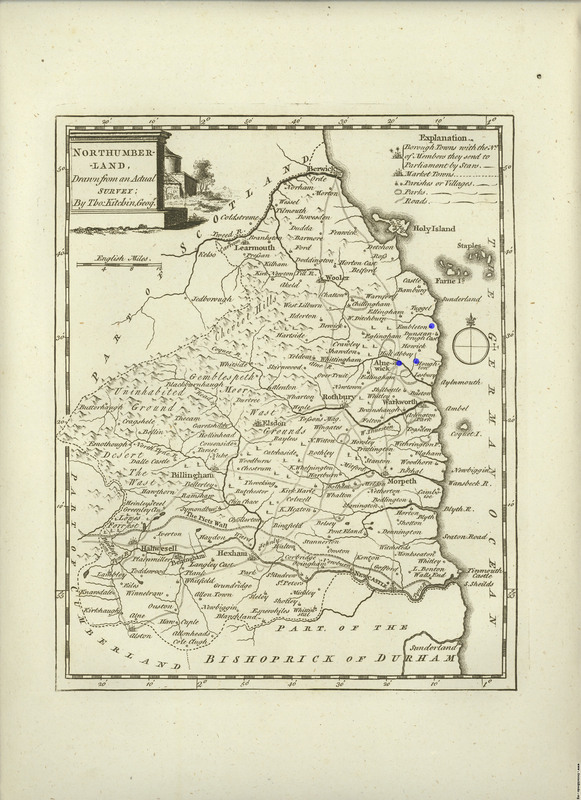 So, Will and Sarah left Northumberland and settled in Solloghodmore with the 5 children, presumably on the Stanley estate, in the townland of Lisheenamalausa. Whether the tilery was already there or whether William saw to its building we don’t know but the granddaughters definitely had memories of playing on the beehive shaped kilns when they were young; “…and when I was there, aged about 5 or 6, we played on top of the old kilns, spending hours making daisy chains to hang around the neck of our playmate, an old goat.” Soon, Sarah was pregnant again and had another girl, Agnes, born in 1861, bringing the total to 5. I imagine William got a lot of good-natured ribbing about the number of girls he was producing! In 1863, tragedy struck when James who was then 10 years old, fell from a hayloft and was injured very badly. The injuries included damage to his eyes. The type of father William was is shown by another memory of a great-granddaughter, “Granny remembered him (James) not being able to walk, and being pulled around in a go-cart which his father made for him.” James was taken to the famed oculist, Sir William Wilde (Oscar’s father) but he could do nothing for the little boy. He eventually died from his injuries. From other writings, we are told that Sarah suffered a breakdown after this which she did not fully recover from. A matter of conjecture since she did recover enough to have another daughter, Sophie, in 1867. In 1848, Jane Ann McDowell, William and Sarah’s first child, was born on Canongate Street, in the town of Alnwick, Northumberland. Later, in the 1851 census, we find them living in the Tile Sheds, Village of Letch, Longhoughton. They have a new daughter, Alice born that year, 1851. Alice was followed by James born 1853. The children were duly christened at the Church in Longhoughton. So, while William laboured and made his way, Sarah was kept busy having children. By 1855, my great grandmother, Elizabeth was born in Embleton. The family had moved again. Sarah signed with an X on the birth certificate showing that she was the one that registered the child. An entry in Whellan’s directory for Northumberland 1855 Embleton shows William McDowell as co-proprietor of a beer house. As stated below, employers often owned and paid their employees from a public house so I think we can assume that William was either managing or owned a tilery by this time. 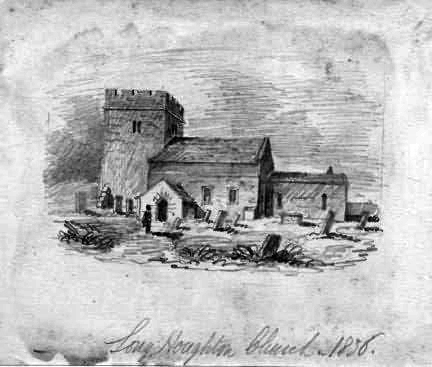 “Creighton, the vicar, had a poor opinion of the villagers (of Embleton): “In many ways the moral standard of the village was very low, and it was a difficult place to improve. There was no resident squire, the chief employers of labour were on much the same level of cultivation as those they employed, and in some cases owned the public-houses and paid the wages there .”Writing two years after he had left Embleton, Creighton said: “I always felt myself engaged (at Embleton) in downright warfare, and strove to get hold of the young … working through the school, the choir, the G.F.S., any possible organisation of the young, that here and there one or two might be got hold of who would make a testimony. The unchastity of Embleton was terrible – low, animal.” (Quoted from Life and Letters of Mandell Creighton by Louise Creighton 1904 and posted on Wikipedia. Not an easy time for Sarah, it would appear, following William around as he looked for work. 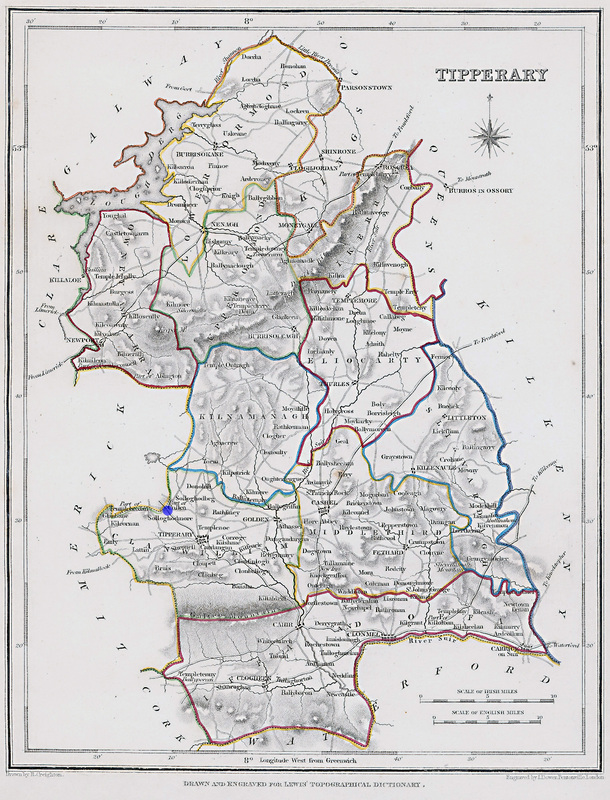 The 1851 English census shows her parents and a brother living in Hesleyhurst, about 12 miles southwest of Alnwick. However, her brother Fergus can be found in Embleton on the 1861 census so it is likely that William and some of her brothers went to that area for employment. One definitely gets a sense of how important family was during those times. Sarah’s family came to visit her in Ireland many times over the years. Two things happened in the following 5 years, another girl was born, Sarah in 1859. and William somehow came into contact with Lord Edward Stanley, the 15th Earl of Derby. From this he was assigned management of a tilery at Solloghead in Tipperary, Ireland. My 2nd ggrandfather William McDowell was born near Jerrettspass, Armagh, Ireland. I say near because the family says he was born in County Down. There is currently no birth record to be found . They also say it was June 15, 1815 but I have 2 census records wherein he stated that he was born in 1821 (this by statement of age). The McDowells were originally from Scotland, the name McDowell being derivative of the name McDougall. The McDougall Clan were one of the most powerful families on the west coast of Scotland but lost their lands by opposing Robert the Bruce. They did capture the Brooch of Lorn off of ” The Bruce’s” cloak in a daring ambush and it remains in their hands today. William’s family was Ulster Scots, meaning they were part of the “plantation” of Northern Ireland by James I. He was red-headed and strong-willed by all accounts and left home young because he could not get along with his stepmother. He stowed away on a ship bound for Glasgow and found work breaking rock in the Scottish Border Country. We first actually meet him on a census in Northumberland, England where he was working as an agricultural labourer at Sturton Grange, a farm near Warkworth. Also working on the farm was Henry Clark an experienced tile-maker and it is at this time we assume that William started his career as a tile-maker, one that would lead to him becoming a man of some means.